An image shared by Domino's on Russian social media website Vkontakte. Domino's Pizza in Russia seems to have severely underestimated the lengths to which people will go to for free pizza. On Tuesday, the pizza chain was forced to end a promotional offer in Russia which promised customers free pizza for life if they got the brand's logo tattooed "in a prominent place" on their body, reports the New York Post. 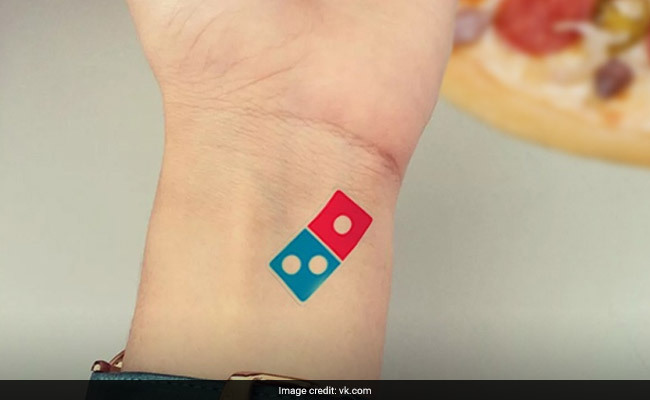 The promotion - which was supposed to run for two months - was abruptly ended after just five days as hundreds of people began to get themselves inked with the popular red and blue Domino's logo. In a post on Russian social media website Vkontakte, the company announced that only the first 350 people with tattoos would be awarded with free pizzas. In a post on August 31, Domino's had promised up to 100 free pizzas every year for 100 years to anyone who got a tattoo of the company's logo. They had clearly not anticipated the number of people who would go under the needle for their pies. There was a time when Dominos was giving 100 pizzas a year for 100 years to people that got a tattoo of their logo. What a time to be alive. What lengths would you go to for free pizza? Let us know using the comments section below.